To restrict access at the project-level, use a Permission Scheme. To restrict access to certain issues within a project however, use an Issue Security Scheme. Here's an example. Free with Jira Strategy Admin Workbook Purchase Yes! At checkout, use the code in the “Worksheets, Templates & Companion Materials” section. The worksheets include recommendations for specific scenarios. 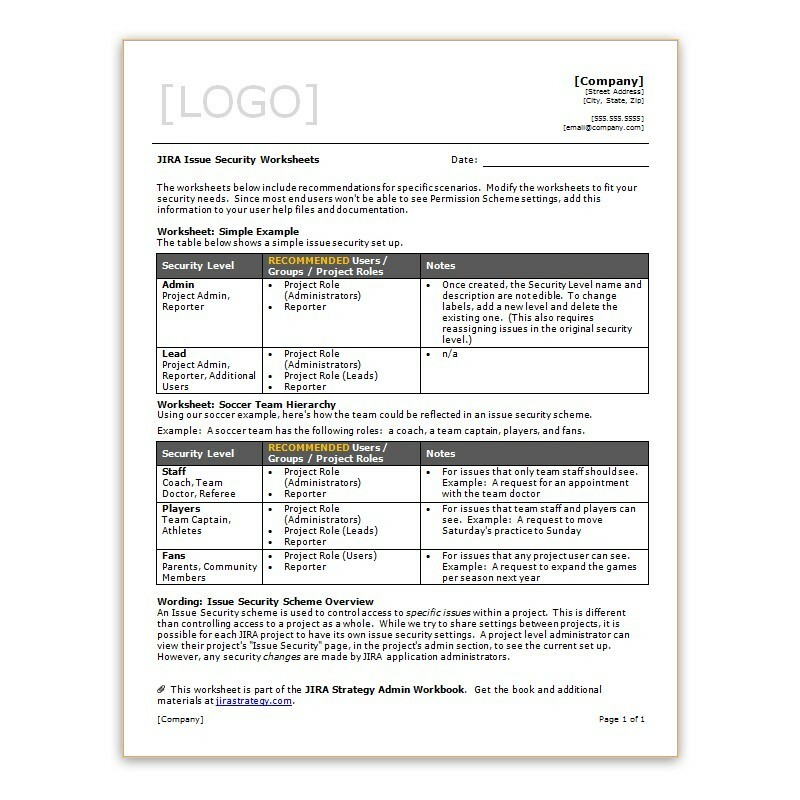 Modify the worksheets to fit your security needs. Since most end users won't be able to see Permission Scheme settings, add this information to your user help files and documentation. Worksheet: Simple Example - The table shows a simple issue security set up. 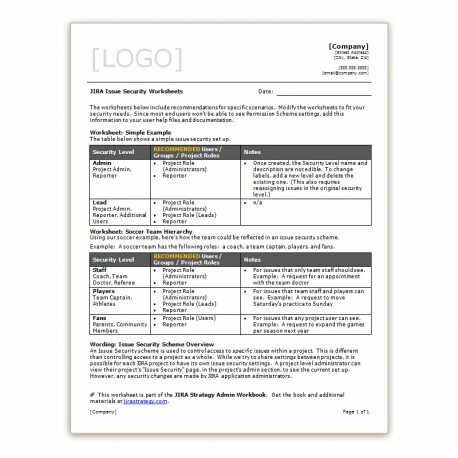 Worksheet: Soccer Team Hierarchy - Using a soccer example, here's how the team could be reflected in an issue security scheme. Example: A soccer team has the following roles: a coach, a team captain, players, and fans.